The Vienna Chamber Orchestra was founded in 1946. Since a long time and nowadays, the Vienna Chamber Orchestra is considered one of the world’s leading chamber orchestras. The international reputation of the Vienna Chamber Orchestra is documented by regular tours and appearances on the whole globe. In its hometown Vienna, the orchestra plays numerous concert in the Wiener Konzerthaus, the Wiener Musikverein and in the Theater an der Wien as well as in the Wiener Kammeroper. The concerts in the Minoritenkirche are a very special occasion where you can hear select players of the Vienna Chamber Orchestra in a chamber music formation, accompanied by a solo violin. The Friars Minor Conventual Church, related to the monastic Order of Friars Minor Conventual monks, is a church built in French Gothic style in the Altstadt or First District of Vienna, Austria. Construction of the church was completed in 1350. The Vienna Chamber Orchestra at a performance in Buenos Aires. 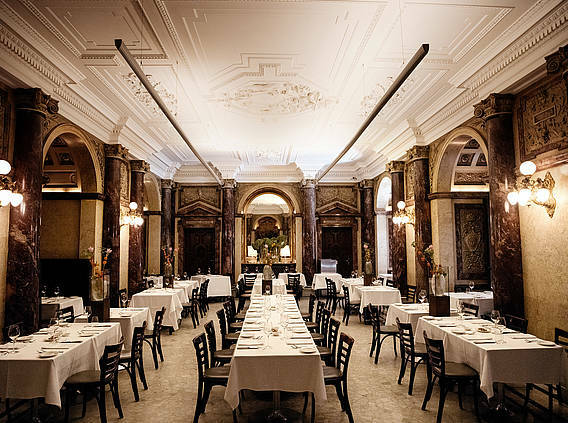 Vienna’s Burgtheater furnishes the splendid setting for the Vestibül restaurant. A Viennese brasserie with international flavour; an established, traditional restaurant in the heart of the city awarded with 2 Gault Millau toques. 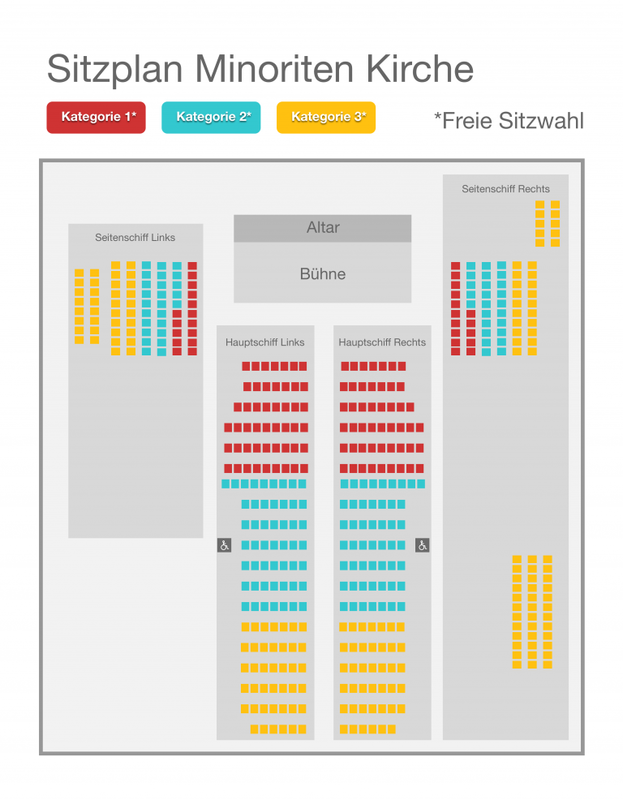 Concert Ticket Cat 1 with the Vienna Chamber Orchestra in the Minoriten Church including 3 course dinner menu at restaurant Vestibül.